Get sword savvy with our guide on where to find the Sabimaru location in Sekiro: Shadows Die Twice. One of the coolest shinobi prosthetic tools in Sekiro: Shadows Die Twice is the poison-bladed Sabimaru sword. This attachment can be used in tandem with your sword to unleash a flurry of attacks on your foes, and its unique poison effect makes it well worth picking up. Along with the Mist Raven, it’s also one of the easiest to miss entirely. In this guide we’ll take you through where to find the Sabimaru location in Sekiro: Shadows Die Twice. A clue to the Sabimaru’s location can be purchased from the merchant Fujioka the Info Broker, informing you that this legendary sword can be found somewhere in the base of Ashina Castle. This information is pricey to buy, and you can still find the prosthetic without it, so spend that sen on something more valuable like a Coin Purse! Make your way there though and you’ll find the front and rear doors locked. 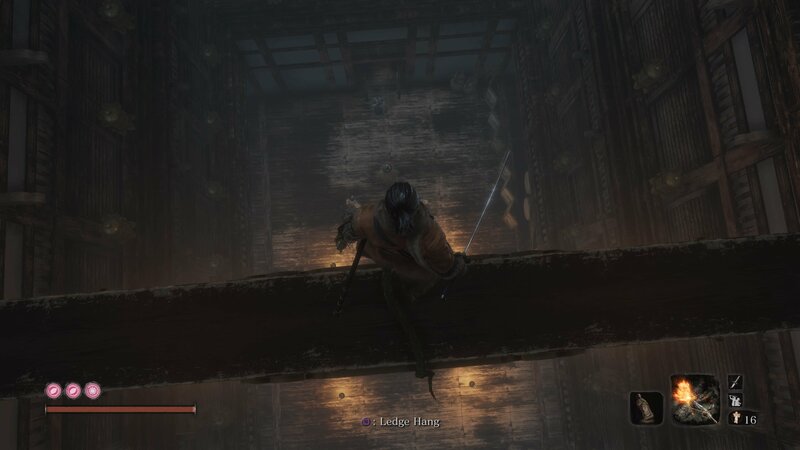 To get access, you need to start from the Ashina Castle - Upper Tower - Antechamber Sculptor’s Idol. If you’ve not reached there yet, you’ll need to climb over the rooftops of the castle to find a path up past the Nightjar assassins who guard the upper castle. From the Upper Tower - Antechamber Idol, head up the stairs and into the castle. Watch out for the single enemy blue samurai here. He’ll walk past the screen ahead so wait and stealth attack him. Now, move into the main chamber, and jump down the central hole, grappling onto the beam as you do. You’ll drop to the ground floor next, but be warned that there are several guards down there including a blue samurai. Once you’ve dealt with them, you’re free to explore the ground floor of the castle. You can open up both doors here, creating a shortcut through the castle, but first head into the back room. 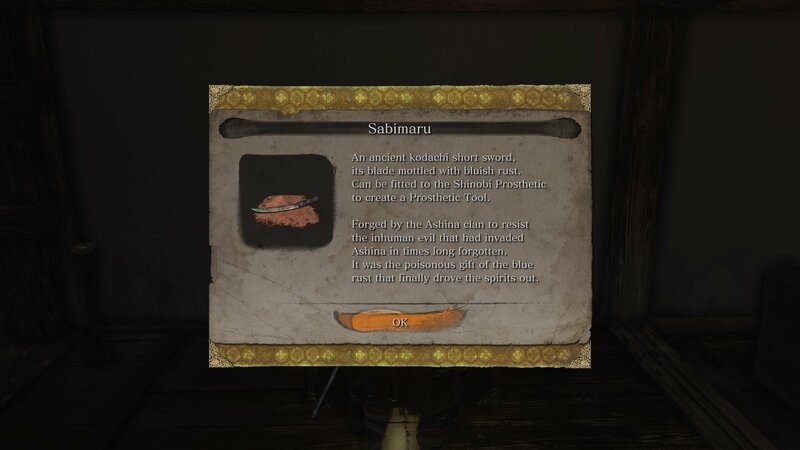 Inside you’ll find a few rarer items like an Eel Liver, but more importantly, the chest containing Sabimaru. Return to the Dilapidated Temple (don’t forget to open the doors first) and speak to the Sculptor to install this prosthetic. Sabimaru costs one Spirit Emblem to activate and lets you perform a sequence of attacks that will inflict poison on any enemies hit. 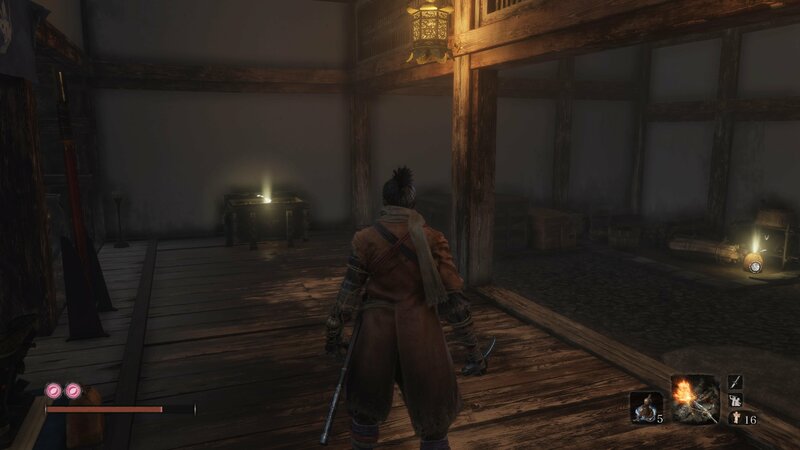 Now that you know where to find the Sabimaru location in Sekiro: Shadows Die Twice, complete the full set of tools with our Shinobi Prosthetic Tool locations guide hub! More interested in expanding your skills? Click here to learn how to get all Esoteric Texts in Sekiro.